I’m not that into Halloween. 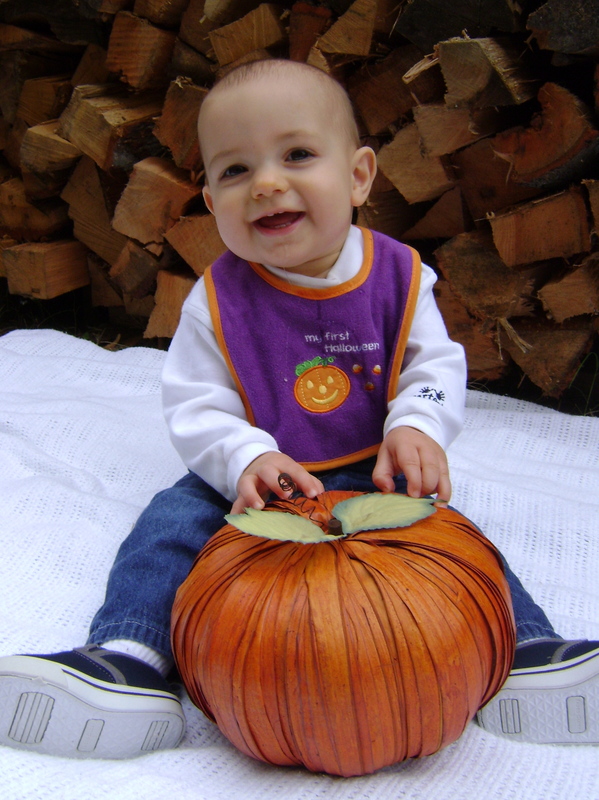 I don’t own a single Halloween decoration and I wasn’t really going to do anything for Henry’s first Halloween. But Stephen talked me into celebrating and we did end up having some fun. 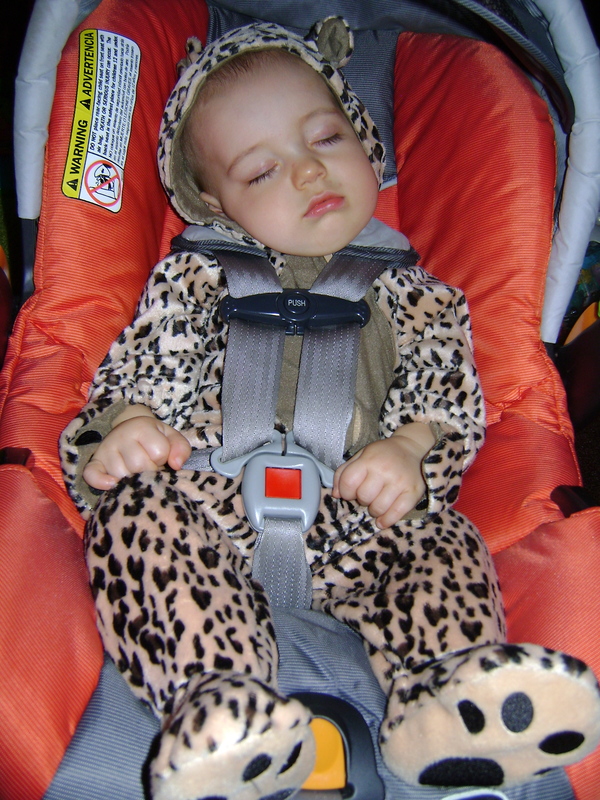 In the morning we went to the library’s Boo Bash. 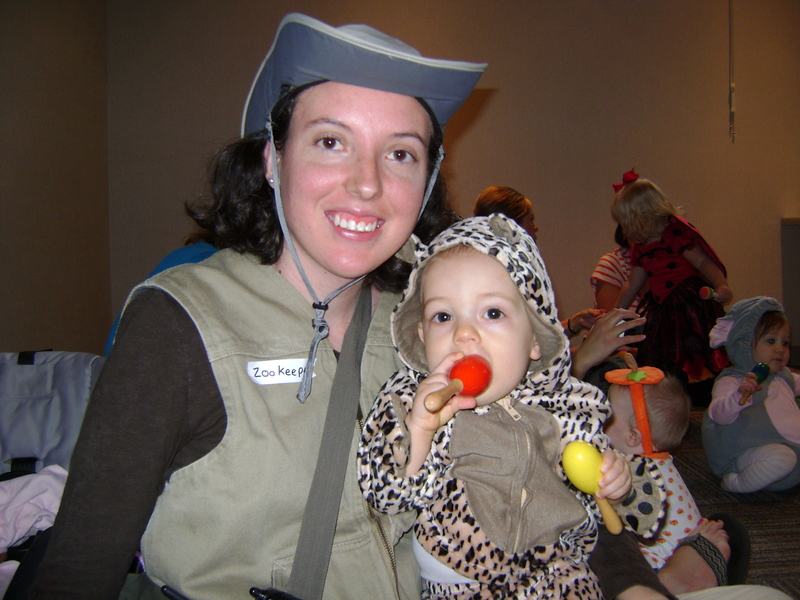 We didn’t win any prizes in the costume contest but I still think our zookeeper and leopard costumes where pretty snazzy. 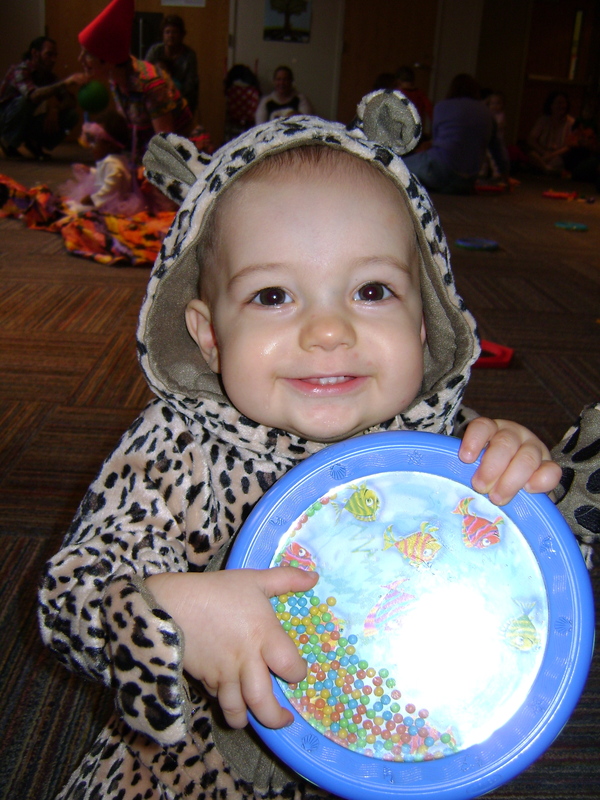 Henry loves these tambourines with the loose beads and always finds one when it is time to play along with the music. 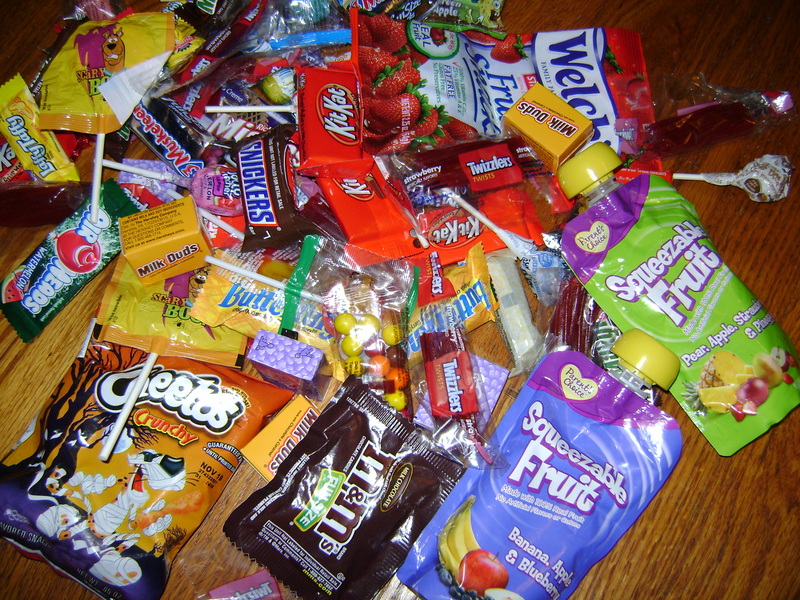 That evening we went trick-or-treating around our neighborhood. Stephen had never gone trick-or-treating before and was super excited about it. Our costumes were pretty simple. Stephen costume consisted of things we already owned, my mask was something I printed off from a website and colored in and Henry’s costume was borrowed from a friend. 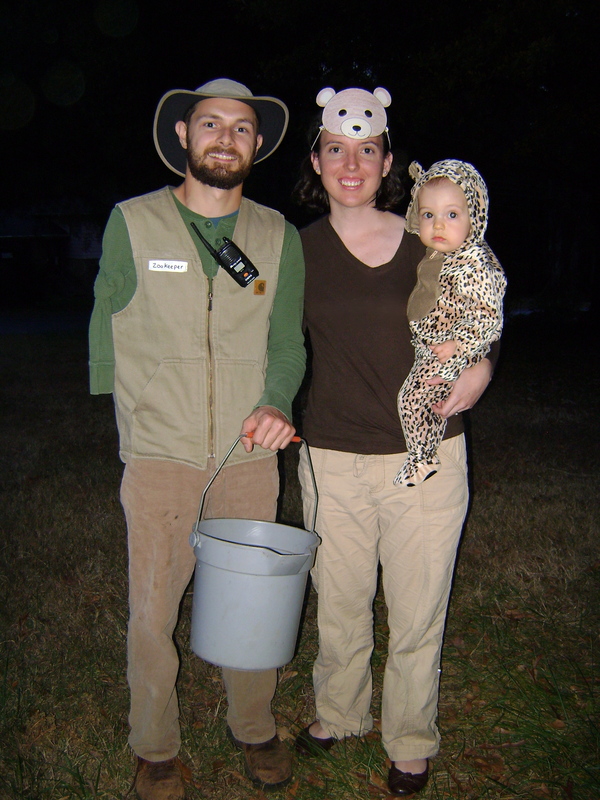 Stephen made a last minute alteration to his costume and became a one armed zookeeper. The story is, his other arm was bitten off by a ferocious wild animal. Here is a peak at all of our loot. One of our friends was expecting Henry to stop by so he also received some sweet treats! I must say, this is the most fun I’ve had on Halloween since I was a little kid.